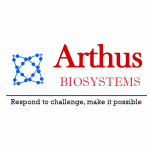 Arthus Biosystems of Richmond, California, is the first in the world to create a unique series of antibodies against S-adenosylmethionine (SAM, AdeMet, SAMe) and S-adenosylhomocysteine (SAH) that allows immunoassays to be used in the methylation regulation research. Our research tools also include a better SAM research standard and are available to scientists and students worldwide to help better understand S-adenosylmethionine (SAM) and S-adenosyl-homocysteine (SAH) and the related processes and behaviors under a variety of research scenarios. Our missions are to promote research that will enhance our knowledge about methylation index, bridge the gap between what we know about SAM and the potential applications in clinical diagnostic and medication practices to benefit the general public. With our high-quality products, personal support, and limitless potential to solve important scientific problems, our biotech company continues to grow and change for the better.